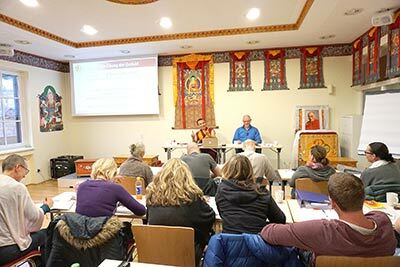 Immerse yourself in the Buddhist science of the mind and acquire a comprehensive “map of consciousness” as well as deep insights into Buddhist psychology in only six modules. You will get to know the destructive aspects of the mind as well as the healing potentials that inhabit us. 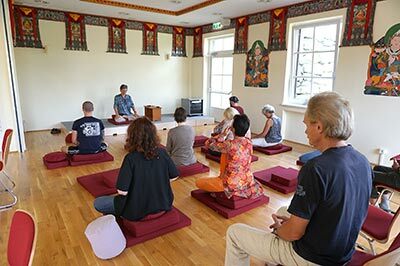 The course is rounded off with meditation instructions and exercises that teach us how to transform our destructive emotions and cultivate more joy and inner strength. you want to deal better with your destructive emotions such as anger, fear, etc. 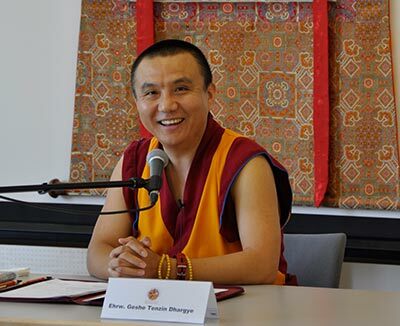 and develop a relaxed and joyful mind. Anyone is welcome to join! There are no prerequisites. Your teacher will be the Ven. 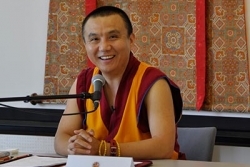 Geshe Tenzin Dhargye, who has taught the course, alongside other experienced and qualified teachers, since 2010. Language of instruction is Tibetan/English with German translation, or German. While all classes are available online, we do recommend that you attend the first and last modules in person, if at all possible. and ends on 29th – 30th May 2020 with the last module. you may join the live Webinars or watch the recordings on your own time. Because all modules are available online, and can be completed through distance study, you may join the course even after it has already started! Successfully completing the course requires completing all homeworks (which entitles you to a document of participation). 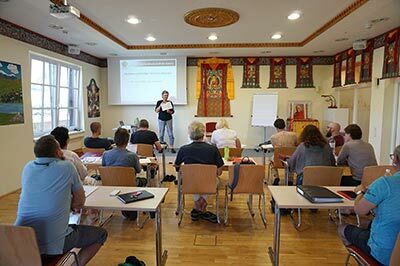 While the final exam is optional, students who pass will also receive an official certificate, jointly issued by Tibet Center Austria and CUTS.